In this piece, Director of Islamic Affairs Tim Dieppe offers his personal perspective on the upcoming EU referendum. For other resources that seek to help Christians consider the arguments for and against staying in the EU, please see the links at the bottom of the article. The views expressed are the author's own and do not necessarily represent the views of Christian Concern. The debate about the European referendum in the media so far has focussed primarily on the economic consequences of our position in Europe. While this is important, it is surely not the only, or even the most important factor to consider when deciding whether Britain should remain in the European Union. Is there a distinctly Christian perspective on our position in Europe? I believe there is, and it has to start by considering what the Bible says about the purposes of national governments. We need to go back to the book of Genesis to consider why we have multiple nations in the first place. Genesis 11:1 tells us that originally “the whole world had one language and a common speech.” This enabled world government, but this powerful unity was used to rebel against God. Consequently, God confused their language and “scattered them over the face of the whole earth.” This potential for people with power to rebel against God is why we have distinct nations in the world today. The Bible warns us that we will again have world government in the end times, and this will again be evil and rebellious (Rev 13:7). A fundamental purpose of individual nation states, then, is to restrain evil (cf. 1 Tim 2:2). Now if a nation becomes corrupt and evil, people can at least flee to another country for safety, and sadly we are seeing this today in huge numbers. As Christians we should at least be wary of supranational government on the basis of what the Bible says. We understand the human capacity for evil and corruption, and see the benefit of containing this by the creation of individual nation sates. National governments, like everything else in creation, exist for the purpose of glorifying God. They can do this by honouring God in national affairs, and by setting laws that commend righteousness and justice to the people. They should restrain evil, both internally by punishing those who disobey the law (Rom 13:4), and externally by defending against threats from other nations (Deut 20). The Bible says that “Righteousness exalts a nation” (Prov 14:34). The best policies for any nation are to enact righteous laws and encourage righteous behaviour amongst the people. With this understanding in mind, let us assess the arguments for and against remaining in the EU. The European project is committed to unity. The motto is ‘ever closer union’ from which David Cameron successfully obtained an exemption. Transnational political unification is something Christians should be wary of because of the increased potential for evil. Unity is not an ultimate goal that we should support uncritically. Unity is only worthwhile if it is used to promote shared Christian values. The European countries do have shared values of democracy and human rights, which are in turn based on Christian values. 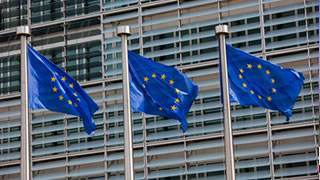 The Lisbon Treaty failed to reference Christian values in spite of appeals from the Pope and other church leaders, a reflection of an increasingly secular and humanistic Europe. Britain too is disregarding its Christian heritage, but retains much of its status as a protestant Christian state with an established church. Meanwhile, Europe is considering welcoming Turkey into the fold, with Turkey not sharing either a Christian heritage, or basic Christian values such as free speech. The danger is that the ‘shared values’ deteriorate into valuing mere economic and political collaboration rather than anything more deep-rooted. If we as Christians want Britain to uphold and preserve Christian values then I think this would be better done outside of the EU. Few would dispute that there is a democratic deficit in Europe. The power in the EU lies not with the parliament but in the unelected EU Commissioners. There is an obvious lack of accountability. The EU has also twice overruled democratically elected governments and appointed their own technocrats (Italy and Greece). If you can’t throw out the officials, then you are not living in a democracy. Democracy restrains power by making it accountable to the people, and thus contains the potential for evil. We would have a more democratic government outside the EU. All officials in the EU are exempt from national taxation, and more than 10,000 of them earn more than David Cameron. Jean Claude Junker, who later became President of the European Commission, famously said: “When it becomes serious, you have to lie.” Angela Merkel said in 2010 "'We have a Treaty under which there is no possibility of paying to bail out states.’” Later she collaborated to do just that. There are too many vested interests and too little accountability, as Christians we would expect that to lead to corruption. Home Secretary Theresa May has stated that she would like Britain to quit the European Convention on Human Rights (ECHR) while remaining in the EU. This makes clear that the two are separate decisions. Christian Concern clients have sometimes benefitted from appealing to the European Court of Human Rights. The referendum is not a vote on the ECHR though, but on membership of the the EU, so this point is not really relevant. It is quite possible to remain a signatory to the ECHR whilst leaving the EU. Part of the original purpose of setting up the EU was to prevent another war in Europe. In this it has succeeded, though NATO has also played a part. Norway and Switzerland have enjoyed peaceful relations without being in the EU. Friendly and peaceful collaboration and cooperation can continue outside the EU, and remaining inside is not a guarantee of continued peace. The advent of Islamist terrorism has created a new type of threat. We have seen attacks in London, Paris, Brussels and Madrid. The success of these attacks has not been a good advert for border security or internal national security. The difficulty is that if we remain in the EU we lose more control of our own borders which undermines national security. Nations should collaborate and the EU has been a collaborative project. Our reservation should be when it goes beyond collaboration to political authority, and this is the case with the EU. Nations outside the EU engage in collaborative actions all the time and Britain should continue to collaborate with other nations, and support and offer aid to other nations, whether we are in or out of the EU. You have more influence inside than outside, that much is undeniable. Britain’s influence is limited though. In fact, we have voted against proposed EU legislation 70 times, and lost 70 times! It may be the case that our global influence would be greater outside the EU than diluted within it. Certainly the influence argument is not strong. There can be no doubt that the sovereignty of our Houses of Parliament has been undermined by the EU, where unelected officials are directly shaping British law without the consent of the British people and parliament. This undermines our democratic system and rights to self-determination. Our nation should not have conceded this power to the EU. Individual nations should determine their own laws and their leaders held accountable by their people. In order to re-establish Christian values and culture in our legal system we need to recover our sovereignty. The net economic benefit of being part of the EU is hotly debated. What is not questioned is that countries have faced serious economic hardship both within (Ireland, Greece), and without the EU. The vast majority of countries in the word are not part of the EU or any other similar political structure. They manage to trade and prosper economically without conceding sovereignty. It is remarkable how quickly politicians abandoned calls for Britain to join the Euro once the problems it was causing for Greece became clear. They said that London would lose its status as a financial centre if we did not join the Euro. They now say the same if we leave the EU. Such things are not entirely predictable. Outside the EU our economy may or may not suffer, but at least we will be in control of our own destiny and not burdened by European constraints. The EU itself is still struggling under an immense debt burden with no guarantee that it will not ultimately collapse. Prosperity, although important, should not be the primary concern for Christians in this debate. I struggle to find any strong arguments for remaining in the EU, while there are several strong arguments for leaving. There is an intense battle going on today over the soul of this nation. The Church will need to continue to fight for our Christian heritage whether we remain or leave, but it seems to me that leaving will at least free us of the trappings of an increasingly secular Europe. Let us therefore pray that Britain finds the courage to leave the EU and to re-establish its identity as a sovereign Christian nation. “Blessed is the nation whose God is the Lord” (Ps 33:12).